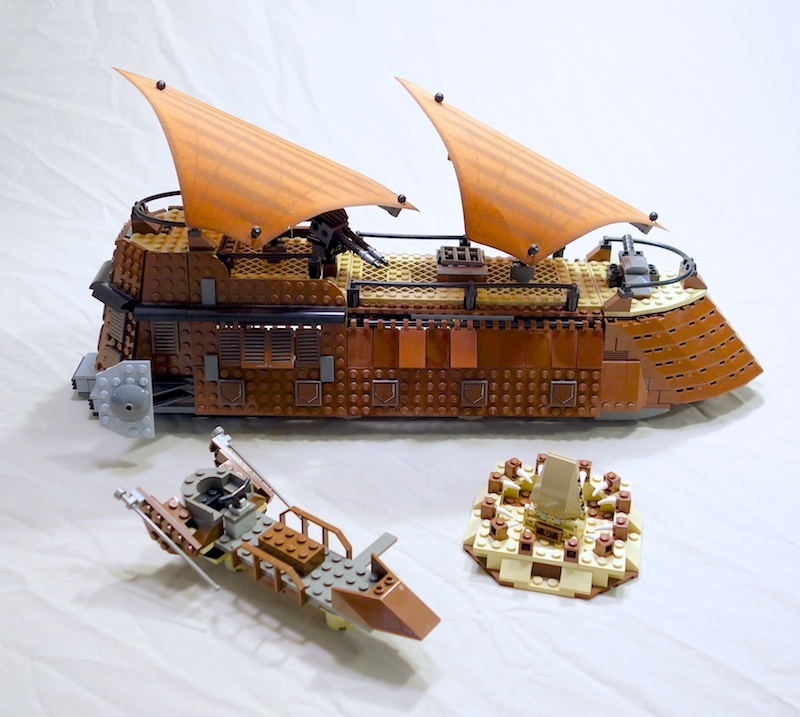 Now that I’m back in the states and have reassembled the new LEGO sail barge that I got in Japan, I thought I’d take a few shots of it with the old sail barge and the BaronSat version that I built a few months ago. 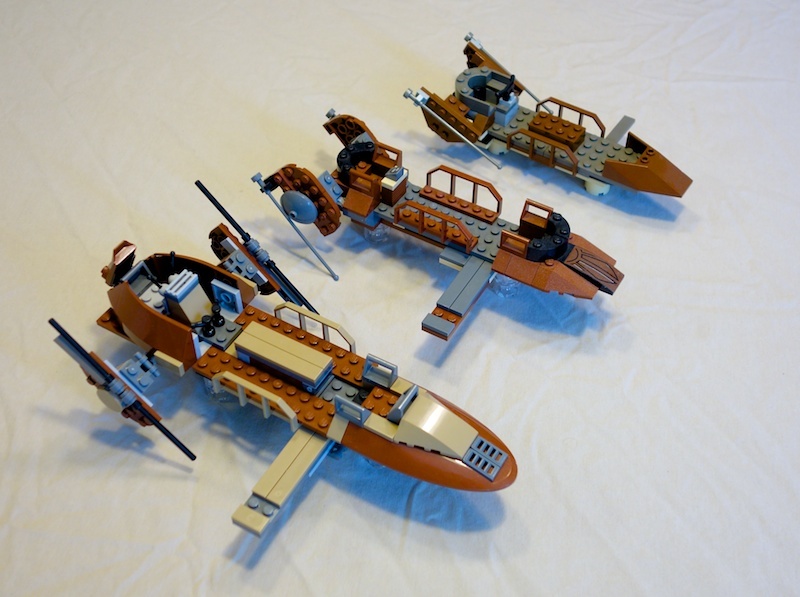 The two official LEGO versions aren’t as different in size as I had thought, but the more sloping nose on the new one makes it seem quite a bit smaller somehow by reducing the amount of space on deck. Interestingly, the new sail barge is noticeably heavier than the old one. The BaronSat version is of course immensely bigger than either one of them, although it’s also much more fragile. 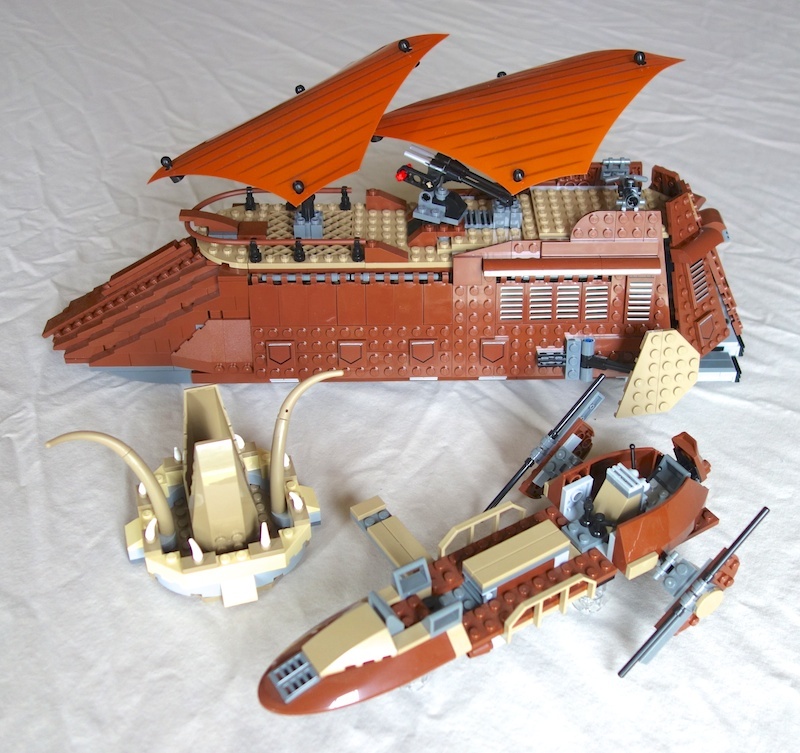 And here’s the new sail barge, which doesn’t come with the skiff or sarlacc — you have to get those as a separate set. 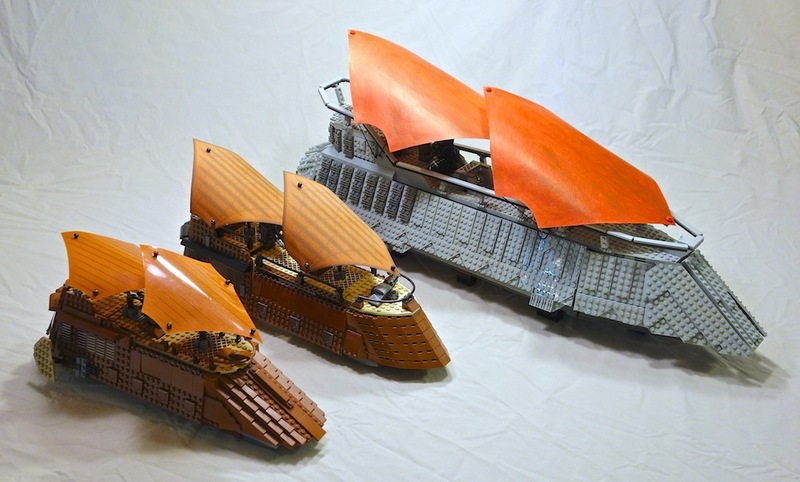 Finally, here are all three of the skiffs that LEGO has made. 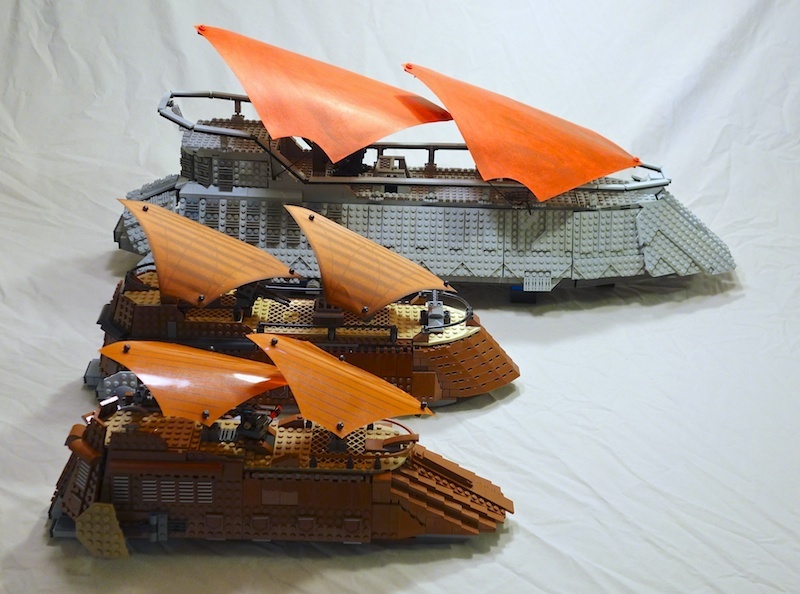 The one in the front is the newest set, followed by the one that came with the old sail barge. The very first skiff, which came as a set on its own before either of the barges, is in back.